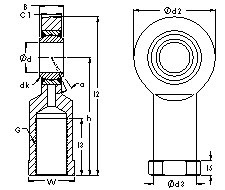 A grease fitting is provided for lubrication. Left-hand threads are available upon request. Stainless steel is available upon request.